Gaon of Sura from 820 to 821. On the basis of a responsum quoted in the "Sha'are Ẓedeḳ" (iv. 311, No. 2), Weiss refers to him as follows in his "Dor": "If a case was brought before him and he found the defendant guilty, but was unable to inflict an adequate punishment, he would to say to him: 'I charge thee to go to the man thou hast injured and implore his pardon or give him an indemnity.' If the accused did not obey this injunction, he was excommunicated." 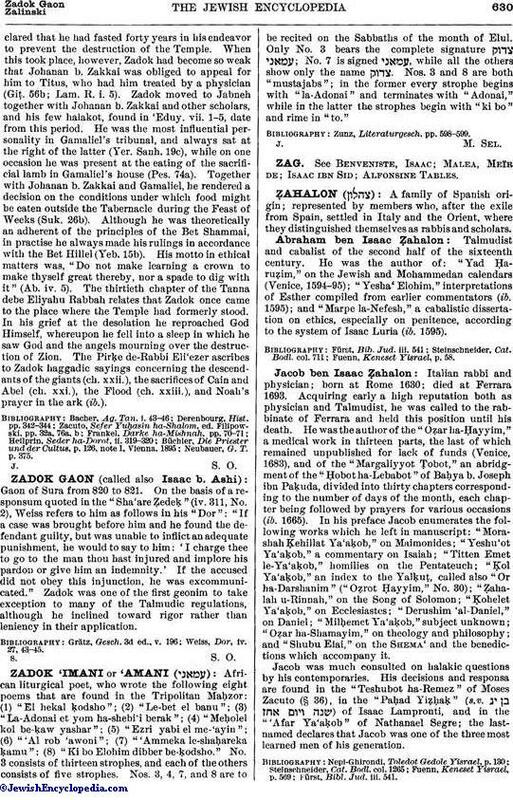 Zadok was one of the first geonim to take exception to many of the Talmudic regulations, although he inclined toward rigor rather than leniency in their application. Weiss, Dor, iv. 27, 43-45.